This year we are delighted as we found a project to support, which combines perfectly our idea of green / ecological thinking as well as promoting job creation and women’s economic empowerment on the African continent. With http://townshipbags.com we created a tailor made bag which is made of cotton and recycled plastic bottles (PET). The cotton is sourced from Southern Africa (Zimbabwe & Madagascar) in support of WWF-SA conservation programs. The recycled PET fabric is a 100% African locally made product. The bottles are collected from rubbish dumps, taken to PET Recycling Company and then processed into a fiber which is then woven into a strong durable fabric. Our bespoke bags are produced in women-owned independent collectives under full fair trade conditions. 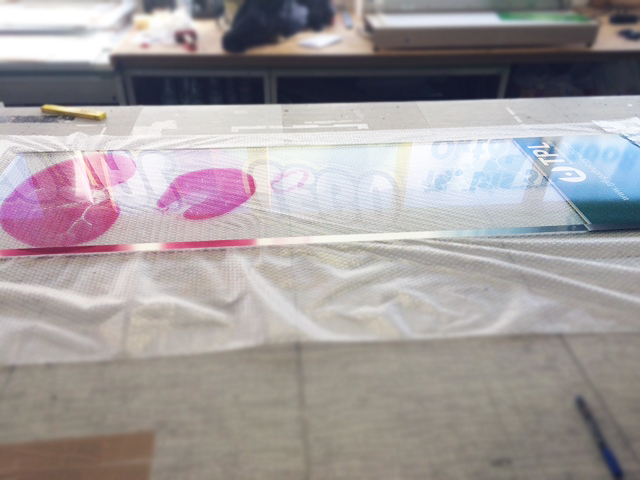 We hope, you like the result of this cooperation, too ! 13th to 15th of September 2017 in Stockholm, Sweden. 10th to 13th September 2017 in Bratislava, Slovakia. 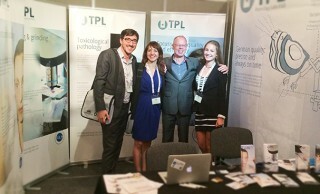 TPL is gold sponsor for EUROTOX! 30th of August to 2nd of September 2017 in Lyon, France. TPL is gold sponsor for ESTP! 24th to 29th of June 2017 in Montréal, Québec, Canada. 12th to 16th of March 2017 in Baltimore, Maryland. 1st to 5th of April 2017 in Washington, D.C., USA. 27th of February to 1st of March 2017 in Tucson, Arizona. 21st and 22nd of February 2017 in Manchester, UK. 3rd and 4th of February 2017 in Hannover, Germany. took place on Monday 28th January 2019 at 5pm s.t. in the Lecture Hall at Otto-Krayer-Haus, Albertstrasse 25 in Freiburg. The evening was opened by Dr. Helmut Laaff, CEO of TPL Path Labs. He introduced Dr. Hoerr to the audience by summarising his vita and his career. 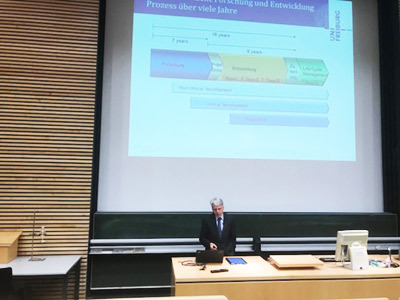 Secondly Prof. Dr. Gunther Neuhaus, Vice-President / Pro-rector for research at Albert-Ludwigs-University of Freiburg held a welcoming speech and informed about incentives and possibilities at the institution. 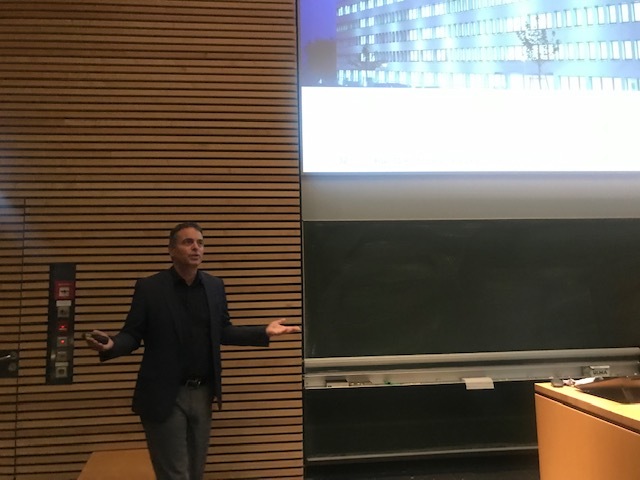 Dr. Hoerr started his very inspiring lecture by explaining how and why he –as a very successful student of the University Tübingen- founded a start-up. He pointed out the importance, that scientists need to believe in their ideas as his company was born out of a chance find during doing research for this doctoral thesis. He explained how CureVac now works on a way to realise personalised medicine for everyone! The audience was caught by his motivation, as he powerfully transported his credo to “burn for their visions”. The overwhelming participation of the listeners, asking questions to Dr. Hoerr showed that he succeeded in captivating the auditors. 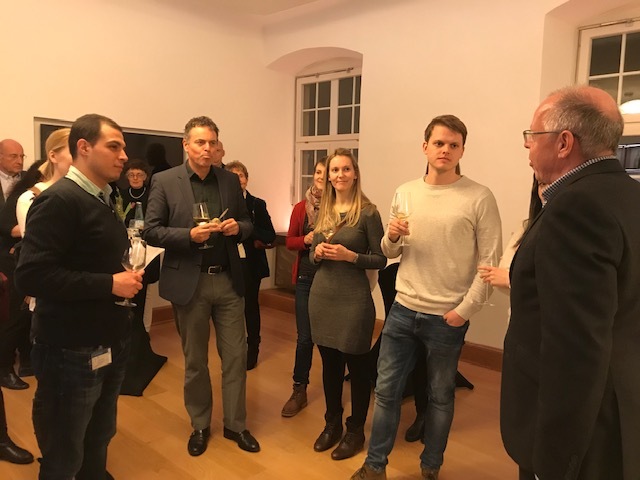 After the lecture, location was changed and at the “Alte Wache” invitees found another chance to talk to Dr. Hoerr over a glass of lovely regional wine. Recently, on March 14th 2018 at 5pm, a highlight of this lecture series took place in the Lecture Hall Weismannhaus, Albertstr. 21a, Freiburg with Dr. Kirsten Lund-Jürgensen providing insights into the career she took after graduating from the Albert-Ludwig-University Freiburg with a PhD in Pharmaceutical Biology. „Working in a Global Pharmaceutical Company: Expectations and Opportunities “, this was what the audience, present in large numbers, was interested in. 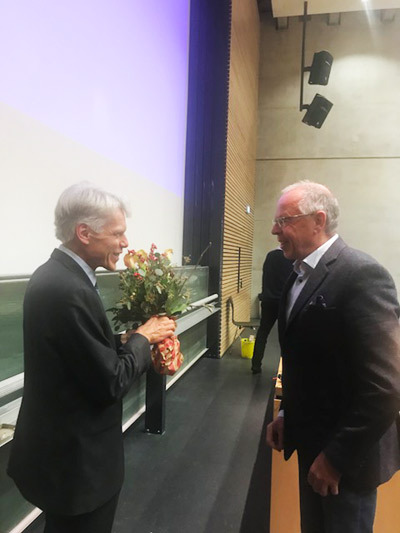 The evening was opened by Dr. Dr. h.c. Christoph Borner, Director of the Speemann Graduate School of Biology and Medicine who introduced Dr. Lund-Jürgensen, the Executive Vice President and President of Pfizer Global Supply (PSG), to the audience. Many students and academic personnel were present, but the lecture was also well attended by people from industry such as TPL Path Labs and Pfizer. This enabled a great discussion between academia and industry, inspired by the lively and personal talk of Dr. Lund-Jürgensen. What does it mean to work in a globally acting company like Pfizer? What are the obstacles and pleasures of pursuing a career industry? These questions were answered in an entertaining manner by Dr. Lund Jürgensen. 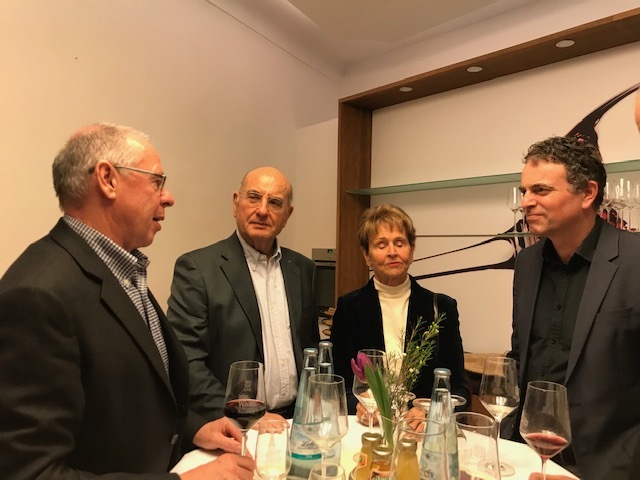 After the lecture, the attendees then continued the discussion and exchange at the “Wolfshöhle” in Freiburg in a pleasant atmosphere supported by snacks and wine. We would like to say “Thank you” for an inspiring evening and we would like to wish Dr. Lund-Jürgensen all the best for the future. It was with pride that TPL Path Labs attended the inaugural lecture of Prof. Dr. Dr. Andreas Barner, which took place on Monday, 04th December 2017 at 5pm c.t. in the auditorium at Albert Ludwig University, “Institut für Chemie und Pharmazie” Otto-Krayer-Haus Albertstr. 25 in Freiburg. 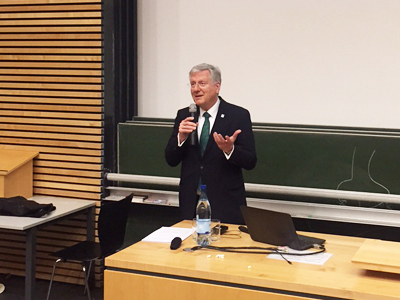 The evening was opened by Prof. Dr. Manfred Jung, Dean of the faculty of Chemistry and Pharmacy of the University of Freiburg. 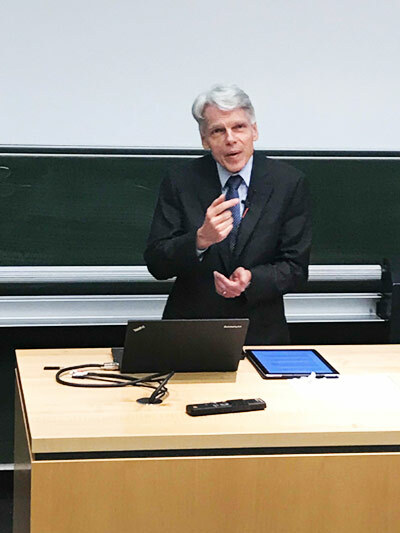 In his welcoming speech, he also informed the audience about Prof. Dr. Dr. Andreas Barner´s successful career so far, which now sets another milestone in lecturing at the Albert Ludwig University. 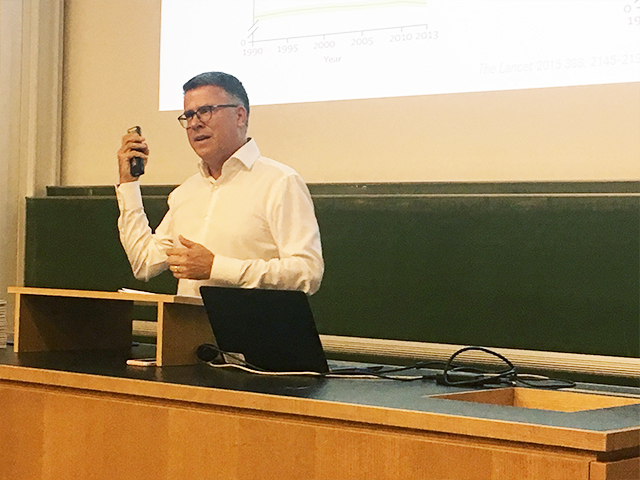 Prof. Dr. Dr. Barner´s high-quality presentation of an important topic was accepted by a very pleased audience, consisting of students, scientists and representatives from industry. The questions, which later on were posed to Prof. Dr. Dr. Barner, have been answered by him in an excellent manner. After the inaugural lecture, Prof. Dr. Dr. Barner invited his guests to a snack, where a lively discussion with the lecturer and the participants went on for the evening. We would like to say “Thank you” for an inspiring evening and we would like to wish Prof. Dr. Dr. Barner all the best for his new task. 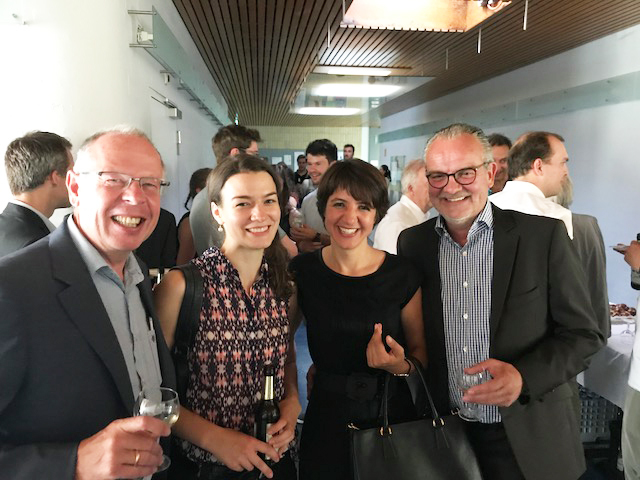 TPL Path Labs was pleased having attended the inaugural lecture of Prof. Dr. Hagen Pfundner, which took place on Thursday 6th July 2017 at 5pm c.t. in the auditorium at Albert Ludwig University, Institut für Pharmazeutische Wissenschaften Hermann-Herder-Str. 7/9 in Freiburg. „Immer länger, immer gesünder leben? 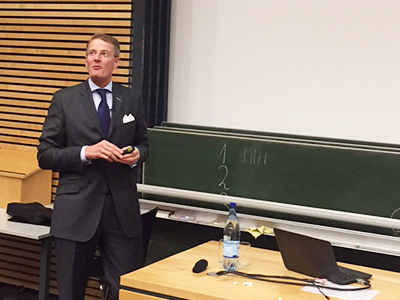 In his welcoming speech, he presented Prof. Dr. Hagen Pfundner´s impressive vita and career. With his inspirational lecture, Prof. Dr. Pfundner shared his knowledge with the students, scientists and, representatives from industry. The interested audience took the chance of posing questions to Prof. Dr. Pfundner, who answered professionally. 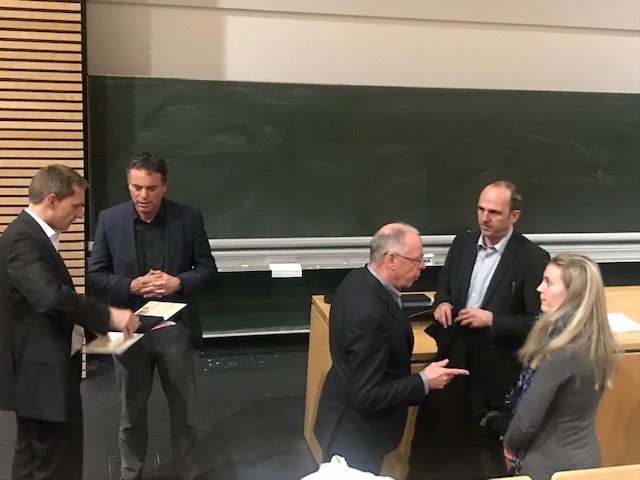 After the inaugural lecture, Prof. Dr. Pfundner invited his guests for a snack which provided the opportunity for a lively discussion with the lecturer and the participants. The evening proved to be an outstanding success, all participants enjoyed very much. 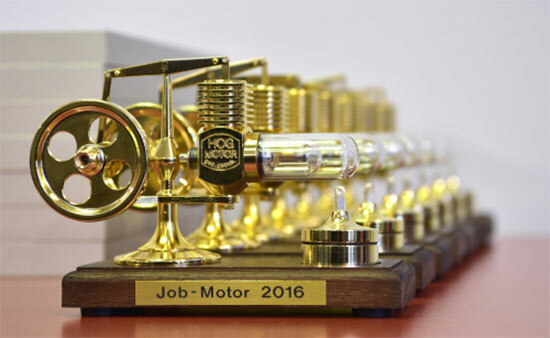 We are delighted to inform that TPL Path Labs is the winner of the “Jobmotor Award 2016” for small-sized regional enterprises up to 19 employees in the category: “ Finding and retaining skilled personnel” for the year 2016. 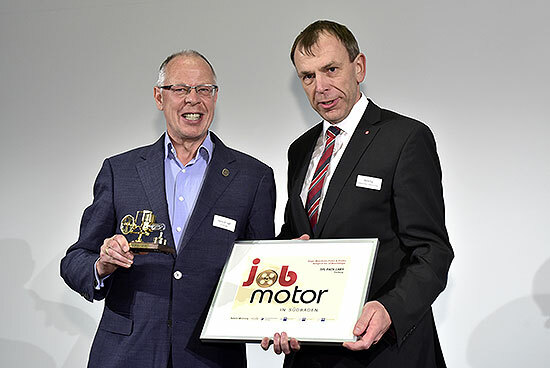 Since 2006 the publisher “Badische Zeitung” and their partners offer as a reward the “Job motor Award” TPL Path Labs out of 46 candidates proudly received April 7, 2017 during the celebratory awards ceremony in Freiburg. TPL Path Labs and his employees, their families and friends duly celebrated this award on their terrace at the 4th floor of their facility at bright sunshine, Monday, April 10, 2017. 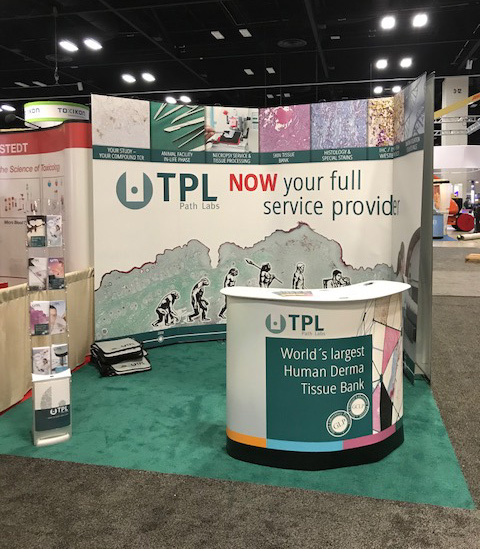 Driven by desire and ambition to be the premium service provider for pharmaceutical, device and cosmetics developer, TPL Path Labs managed to recruit highly skilled personnel supporting the upper management visions. Also this semester, TPL Path Labs hosted a successful evening at Albert Ludwig University – Otto Krayer Haus at the 30th January 2017. TPL Path Labs is very proud that the evening was opened by Prof. Dr. Dr. h.c. Hans-Jochen Schiewer, Rector of the University of Freiburg. In his welcoming speech he informed about the latest project Aesculap is promoting together with graduates of the University of Freiburg. 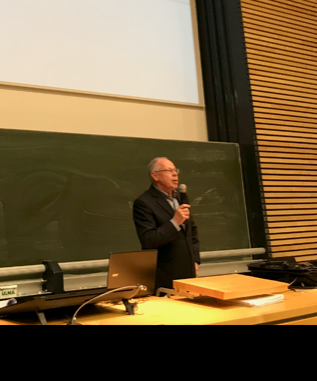 With his inspirational speech Prof. Dr. Knaebel shared his knowledge with the 200 attending scientists, members of industrial companies and students. 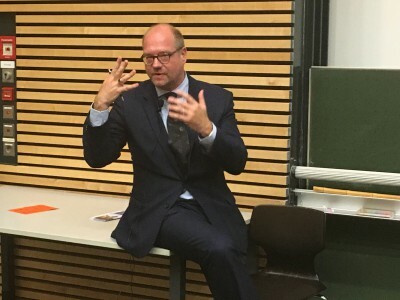 From a historic overview to the new discoveries regarding medical technological equipment, Prof. Dr. Knaebel did not leave any topic untouched.His lecture was academic and at the same time also amusing, the former surgeon (University Heidelberg) was able to keep constant attention of the listeners. The audience took advantage of the chance of posing questions to Prof. Dr. Knaebel. The animated discussions and talks were effective and inspiring for all attendees and showed the success of the evening! A smaller circle continued the discussions while changing the location. 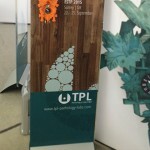 TPL Path Labs is delighted to have sponsored another prosperous event! We are proud to announce that we could engage Prof. Dr. med. Hanns-Peter Knaebel, MBA as speaker. Prof. Dr. Knaebel is Chairman of the Management Board of the Aesculap Division of B. Braun Melsungen, Germany. 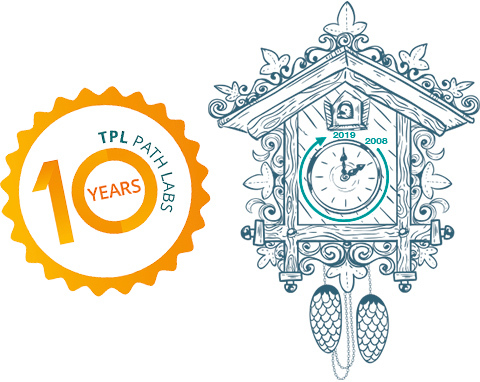 TPL Path Labs is pleased to sponsor the event. We are looking forward to an exciting Lecture followed by a lively discussion. Please feel free to share the invitation! 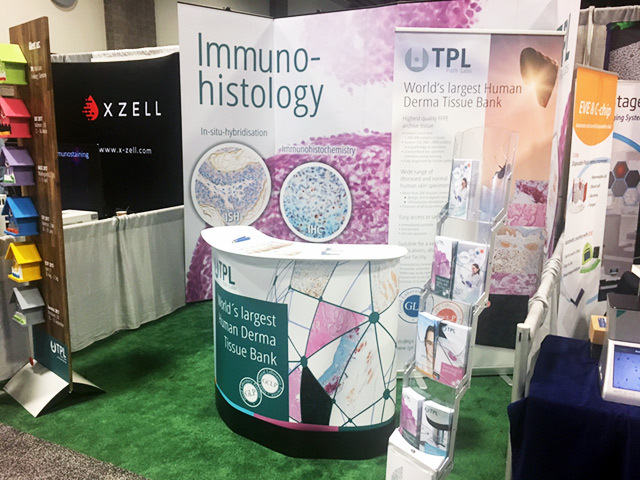 TPL Path Labs is pleased to launch the world’s largest Human Derma Tissue Bank for biomarker discovery and development. 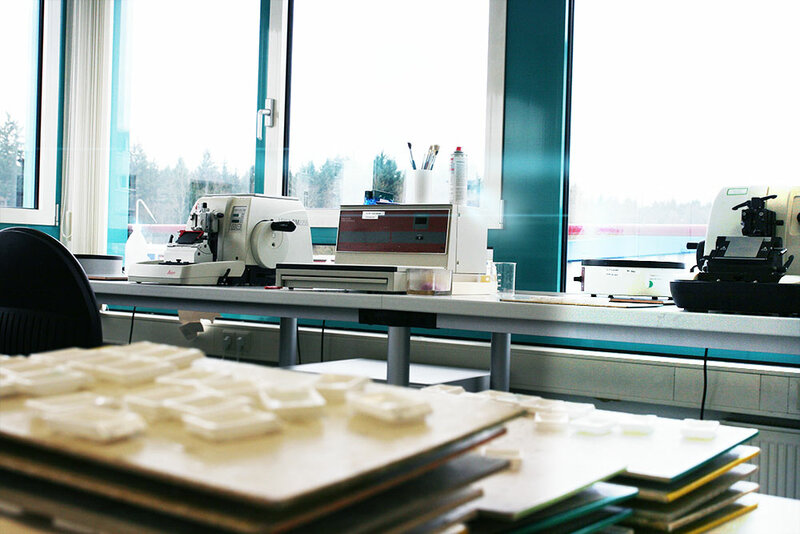 More than 1.000.000 samples, ranging from healthy skin to tumors and inflammatory diseases, are immediately available to meet the research needs of pharmaceutical and biotechnology companies. Based on your molecular study needs we have the options of formalin and alcohol based fixed samples. 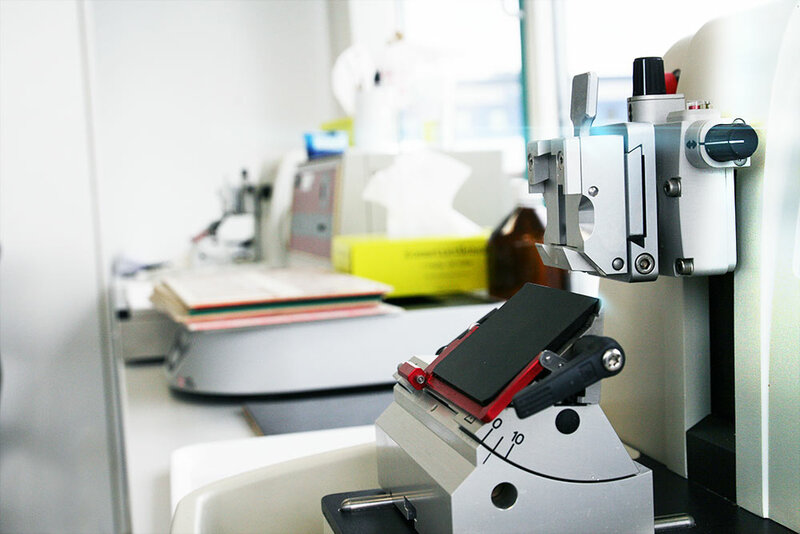 All specimens have been diagnosed by human pathologists in an ISO 9001:2008 certified dermatology laboratory, backing on 25 years of experience. Samples, as well as clinical information, are de-identified. 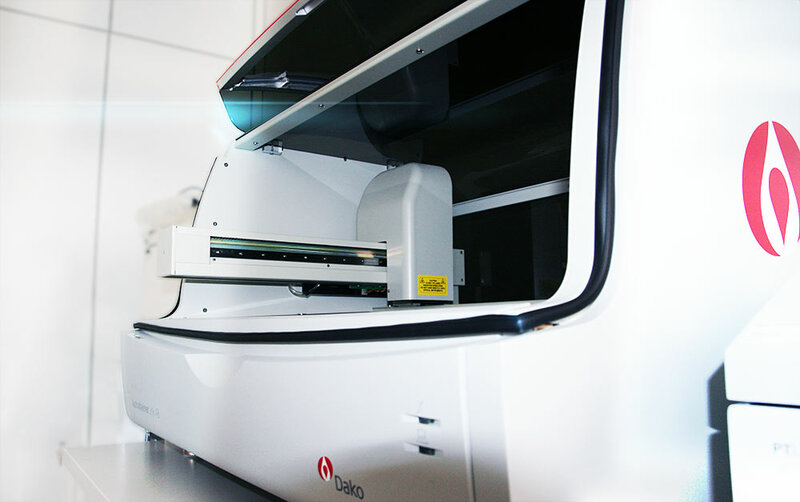 Based on the approval of the institutional review board, all samples are open to be tested in various applications while ensuring the highest standards of ethics. Please do not hesitate to contact us if you have any further questions. 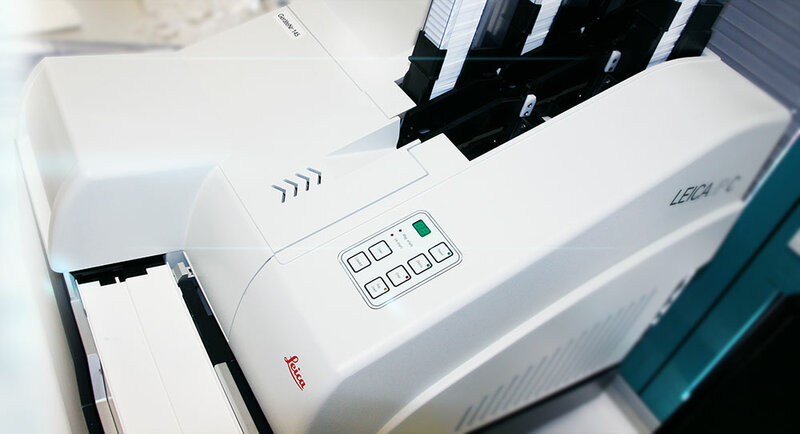 Our on-site scientific personal is looking forward to assist you with your specific project. taking place from 28th November to 2nd December in Munich / Germany. 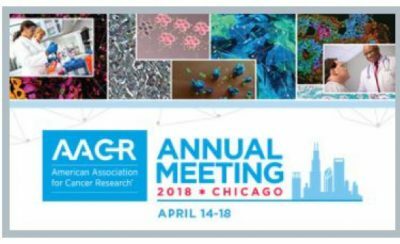 At our booth # A12 in the first row right next to the poster area, we are happy to introduce our latest services and newly-established methods to you. It is our pleasure to invite you to visit us on our booth at the American College of Toxicology’s Annual Meeting to be held 6th to 9th of November 2016 in Baltimore, Maryland, USA. We are very pleased to announce that TPL will attend the Congress of the European Society of Toxicologic Pathology, which will be held from 20th – 23rd of September 2016 in Barcelona, Spain. 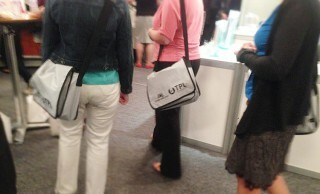 TPL will be the sponsor for congress bags and writing materials. We are looking forward to meeting you in Barcelona. which will be held from the 4th to the 7th of September 2016. The congress takes place at the Sevilla FIBES Congress Center. 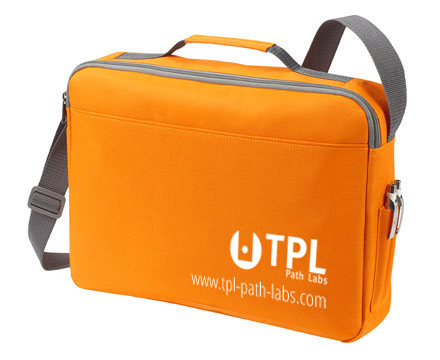 TPL Path Labs will be exclusive gold sponsor and will provide congress bags and writing materials. We are looking forward to meeting you there. After the lecture, the audience took the chance of posing questions, which were answered competently by Dr. Krech. The following lively discussions and talks were fruitful and inspiring for all participants and showed the success of the evening! A smaller circle continued the discussions while changing the location. TPL Path Labs is happy to have sponsored a prosperous event! 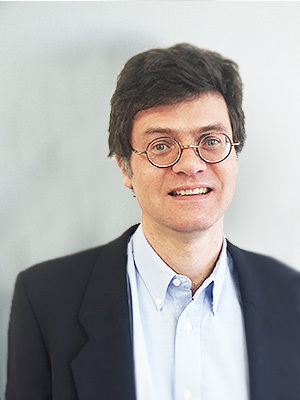 We are proud to announce that we could engage Dr. Rüdiger Krech as speaker. Dr. Krech is Director Health Systems and Innovation Office of the Assistant Director-General World Health Organization (WHO) in Geneva / CH. We are looking forward to an exciting speech followed by a brisk discussion. 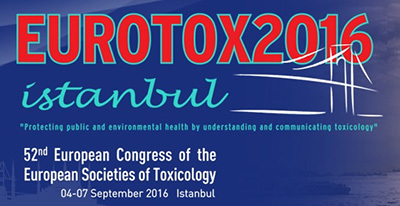 We are very pleased to announce that TPL will attend the Congress of the European Society of Toxicology, which will be held from the 4th to the 7th of September 2016 in Istanbul, Turkey. TPL will be the exclusive gold sponsor and will provide congress bags and writing materials. We are looking forward to meeting you in Istanbul. 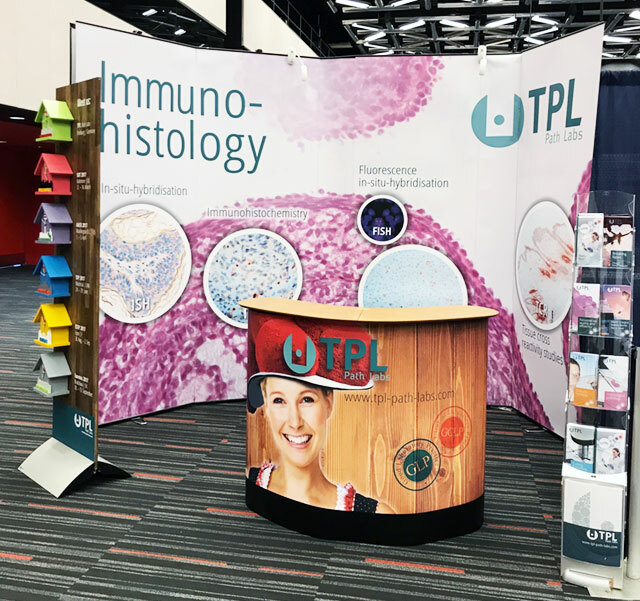 We are proud to announce that TPL this year will participate in the Annual Meeting and ToxExpo SOT from 13th to 17th of March in New Orleans, USA. Our exhibition team Dr. Helmut Laaff, Ayse Bal, Songül Bal and Lisa Albrich cordially invites you to visit our booths 852 and 856. We are looking forward to meeting you at the SOT. Dr. Helmut Laaff, Ayse Bal and Dr. Ralf Hess will be representing „Industry“ at the Symposium Academia meets Industry” to be held at the Albert-Ludwigs-Univerität Freiburg, February 15 at 5 pm room Aula. We are glad to welcome Professor Dr. Dr. Andreas Barner, CEO Boehringer Ingelheim as a participant. 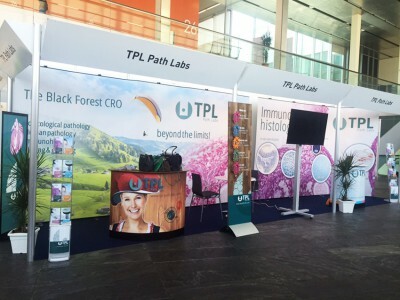 We also would like to extent the invitation to all our business partners and kindly ask for their reservations to be addressed to TPL Path labs. We hope to see you at the 36 th Annual Meeting of the American College of Toxicology in Summerlin, Nevada (8 th to 11 th November). Meet us at the ESTP and the EuroTox. With some new cool things, we welcome you at the EUROTOX 2015 in Porto (13 th to 16 th September) in booths 18/19 and on the ESTP 2015 in Surrey (22 th to 25 th September) in booth 3. 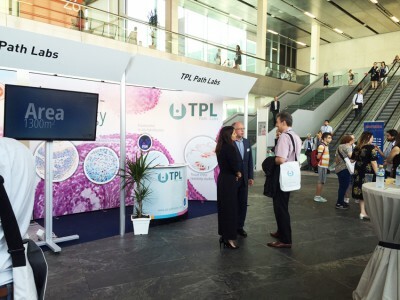 We are pleased to announce that TPL is officially the exclusive Gold Sponsor of the EUROTOX 2015 in Portugal (13 th to 16 th September). With these high-quality bags, we support the 51st Congress of the European Societies of Toxicology and looking forward to welcoming you there at our booths. 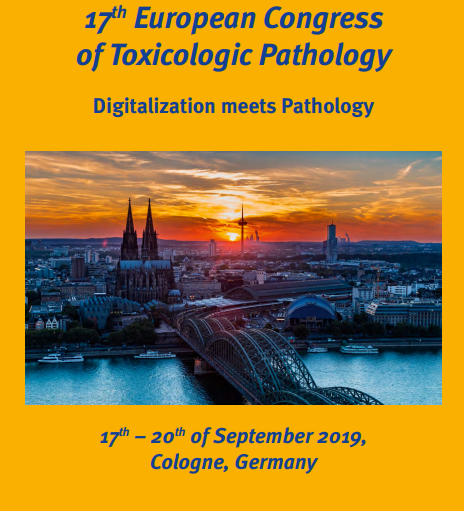 After our successful appearance at the SOT 2015 in San Diego, we invite you to visit us again at this year’s 13th European Congress of Toxicologic Pathology, 22 thto 25 thSeptember 2015 in Surrey, UK and the EUROTOX, 13 th to 16 th September 2015 in Porto, Portugal. 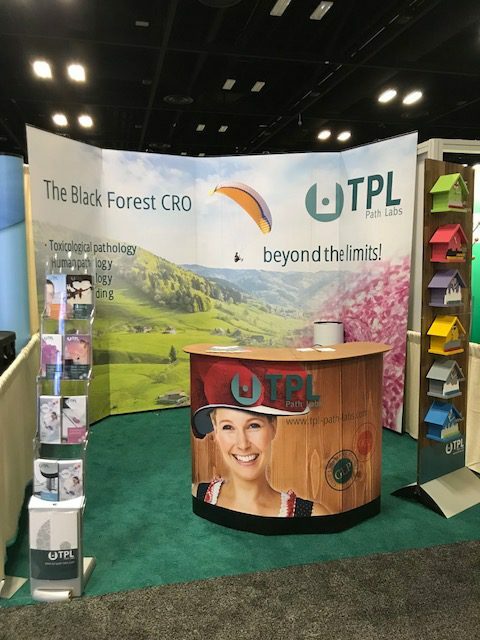 Dear Ladies and gentlemen, we proudly announce that TPL will be present at the Annual Meeting and ToxExpo SOT from 22th to 26th of March in San Diego. We cordially invite you to our booths and are looking forward meeting you at the SOT. Please take a first glance at our new exhibition stand. 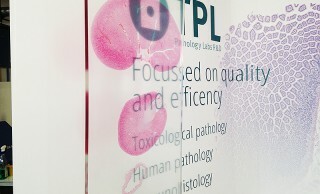 Extensive expansion of TPL laboratory facilities! 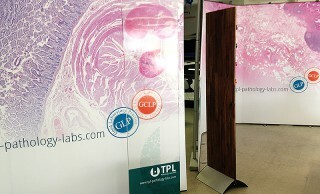 TPL Path Labs expanded its laboratory facilities by about 300 sqm now providing fully GLP-dedicated facilities. Additional quality assurance personnel will support the TPL team effective from February 1st 2015. Prosperous meetings with very good discussions and lectures are behind us. 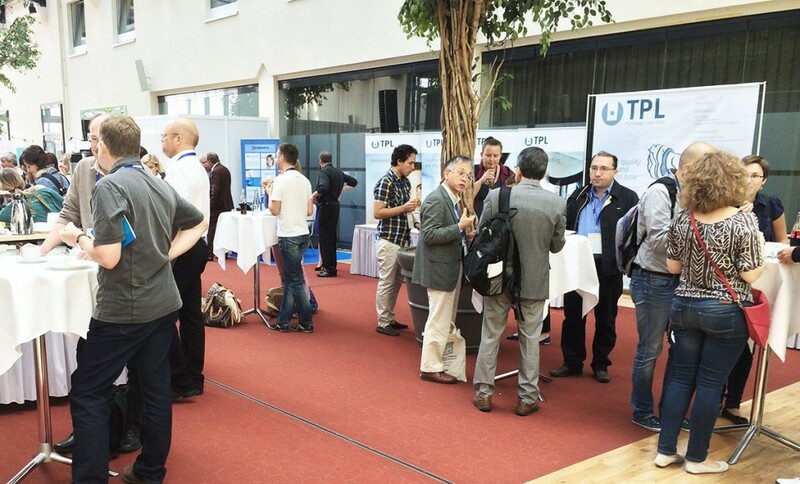 TPL attended for the second time the Eurotox meeting 2014 from 7th to 10th September, but will be present the next time again. Those who did not collect our high quality delegate bag do still have the chance to get one, just send us an e-mail. 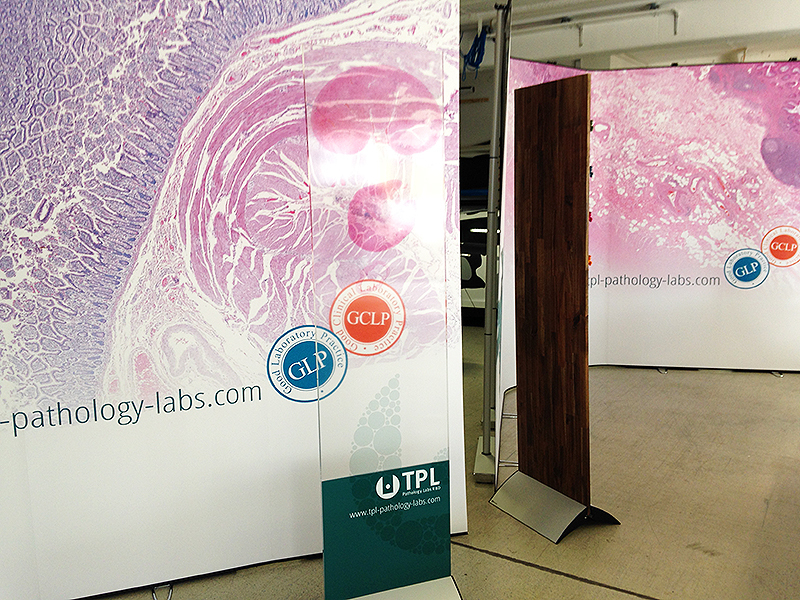 We thank all for you for your visits and hope having informed you about TPL Path Labs. We will be pleased to provide any more information you like to have or to respond to any questions you may have. Just contact us. 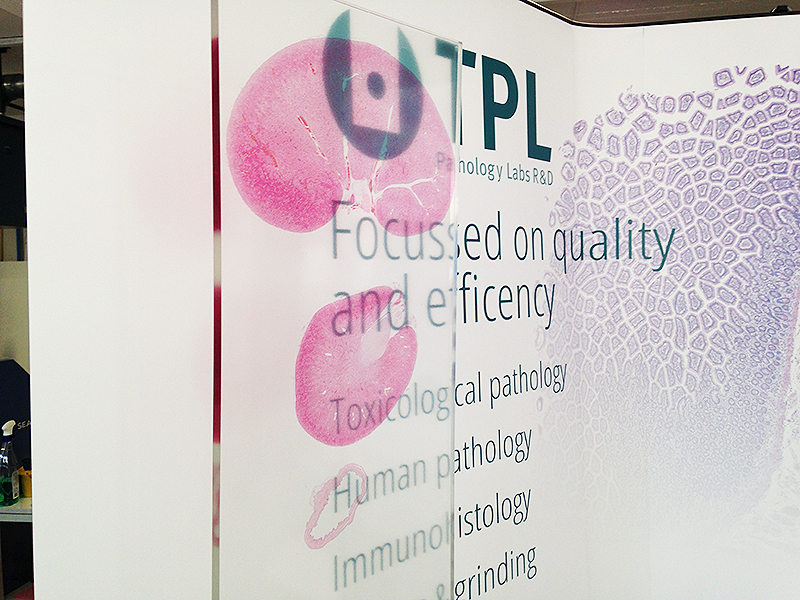 The Eurotox Meeting in Edinburgh from 7th to 10th of September is TPL ´s first congress with a sponsoring. The congress bags will have an outstanding quality and design with the imprint of the congess logo as well of TPL´s logo. The participants of the congress are cordially invited to visit our booth either just for a short hello or a talk with us about their questions and our services. Mrs. Bal, Mrs. Albrich and Dr. Laaff will be present at the Meeting. 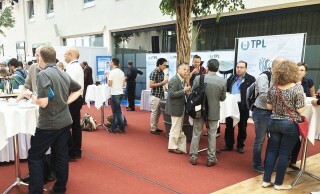 From 27th to 30th TPL joined the ESTP Meeting with new stand and new Flyers. 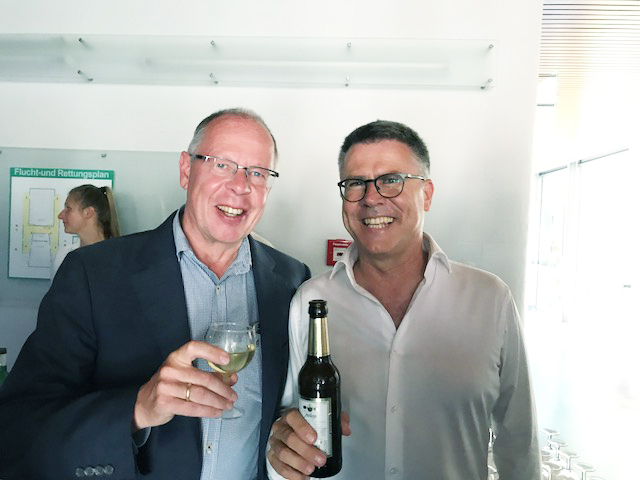 We are happy and proud about the response to our appearance and looking forward to the Eurotox Meeting in Edinburgh at the beginning of September 2014.
holds a teaching assignment at Albert-Ludwigs-Universität Freiburgs faculty of Chemistry and Pharmacy. 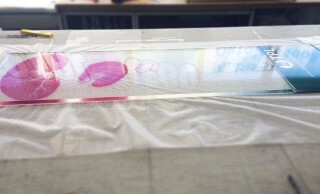 The Theme is stated as “Quality” embedded in the subject of “M.SC. Pharmaceutical Sciences – Regulatory Affairs and Drug Development”. Dr Laaffs focus within his lectures will be on “GLP” and “GCP”, pointing out the details of the various guidelines. We would like to wish him fulfilling lectures with studious listeners! 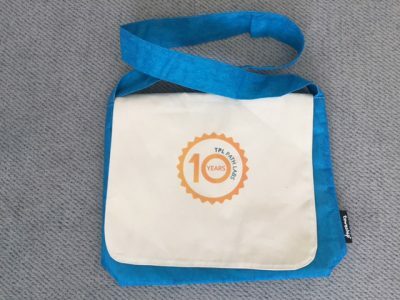 Incredible, how time flies – 10 years of research, scientific exchange, co-working with amazing clients, personalities and service providers plus building up a team you can rely on and – not to forget – the fun we had over the years. We happily take the chance to say Thank you to all of our clients, partners and friends – let us make it clear, these 10 years would not have been possible without your support and encouragement. Please take a glance at our timeline and enjoy the process of TPLs development. To the next 10 x 10 years! On 15. 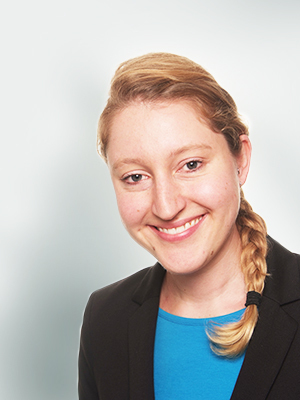 November 2017, Martina Suhm, PhD, joined TPL Path Labs as a Scientific Project Manager. 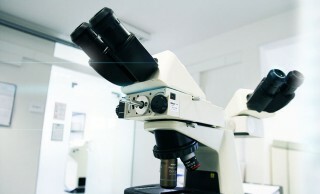 Dr. Suhm completed her studies and PhD at the University of Freiburg, Germany, focussing mainly on Developmental Biology and Genetics as well as immunohistochemical tools and techniques. She is specialised in establishment and implementation of immunohistochemistry experiments and characterisation of antibodies in other techniques. 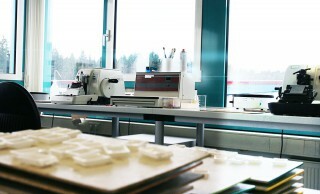 Her expertise includes, next to antibody based techniques such as immunostainings and Western blot, DNA and RNA based techniques for example PCR and in situ hybridization techniques. Previously, Ms. Suhm worked at Abcam in Cambridge and is very well qualified in advising customers in questions all around antibody based detection methods. In our laboratory, she will mainly manage immunohistochemical projects. 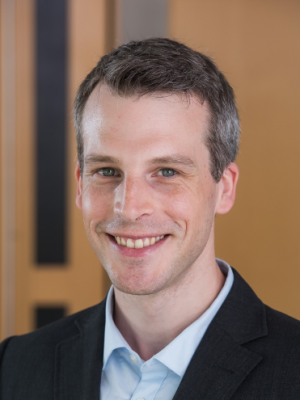 Additionally, Dr. Suhm will work on the development of molecular analysis assays that could be used to complement classical immunohistochemical experiments in research and diagnostics. In addition, Ms. Suhm is responsible for the scientific research and establishment of new methods. We are delighted that Martina Suhm joins our team and we are pleased to cooperate with her in the future! 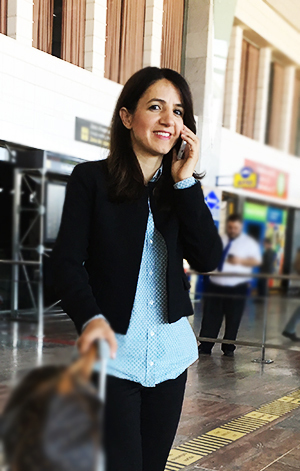 The whole TPL team is delighted and very proud of our COO Ayse Bal: after 3 years of extra-occupational training at Donauuniversität Krems/Austria she finished her academic studies successfully as one of the best in her graduation year! This performance is extraordinary, considering that she is doing a very tough job with an immense workload on a daily basis in our laboratory. 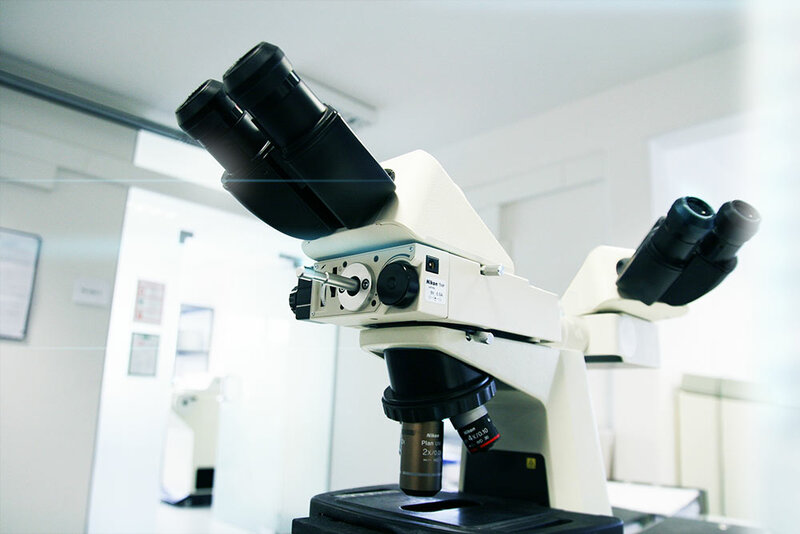 The degree programme focusses on clinical studies, which is our bread and butter business at TPL. All of us would like to congratulate her on her success – we are taking pride in the fact, that, from now on, our COO is allowed to use the title of M.Sc. ! TPL Path Labs is delighted to publicise that Dr. Georg Kuales has joined our team as Project Manager. Since 1st of June 2016 he complements our team of scientific specialists. Dr. Kuales´ scientific focus lies within stem cell biology. He has a particular interest in the generic regulation of mouse embryonic and trophoblast stem cells and experience with other model organisms. 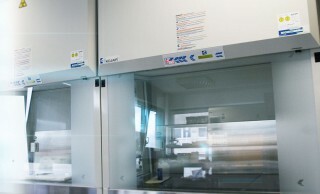 His expertise includes immunofluorescence (IF) and immunohistochemistry (IHC) as well as western blot, in situ hybridisation, PCR, qPCR and cell culture techniques including the isolation of primary cells. In our team he will be the leading scientist responsible for the IHC laboratory. Dr. Kuales is going to conduct projects in matters of immunohistochemistry, immunofluorescence and tissue cross reactivity (TCR) studies. 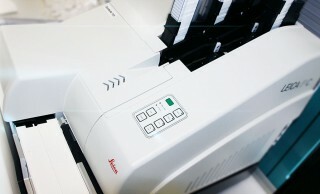 Furthermore, his responsibilities will include supervising the process optimisation with regards to staining methods. “I am happy to find my new scientific home with TPL Path Labs, which presents as a seminal company. This is a fantastic opportunity for me to join with my ideas and to broaden my experience. I feel, this new step in my career is crucial!” stated Dr. Kuales. We are happy to have him on board and we look forward to work with Dr. Kuales! TPL Path Labs is pleased to announce that Dr. Thomas Lemarchand, DVM, PhD, DECVP will join our team from 1st April 2016 as Chief Scientific Officer. Dr. Lemarchand´s scientific focus lies within pathology, toxicology, immunology, special molecular in situ tissue techniques and biomarker research, with a strong interest in imaging and molecular biology tools. He is specialized in biomarker implementation and tissue cross reactivity techniques. His expertise includes molecular and discovery pathology as well as characterization of models of human diseases. He has interest in neuropathology and omics in special tissues. 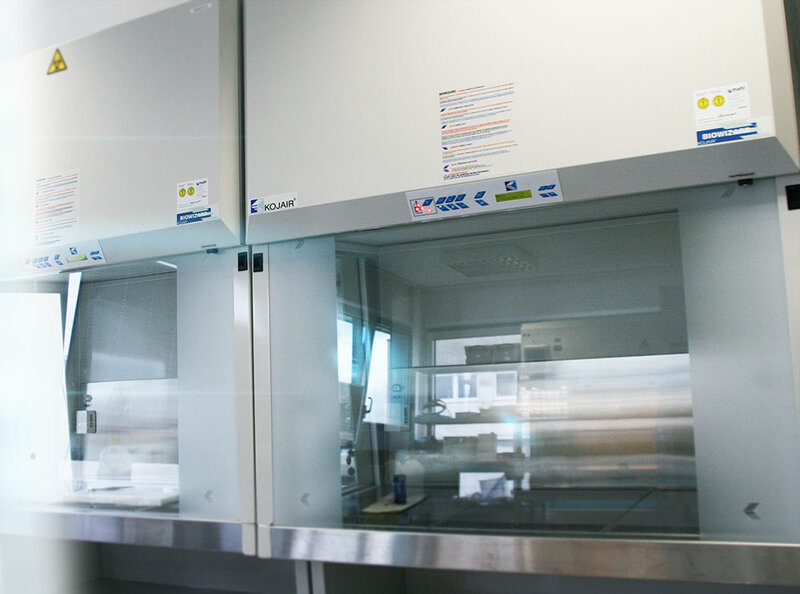 His responsibilities in our laboratory will be – among others – assay development and validation and study pathologist and peer reviewer in GLP, non-GLP (dose ranging) and GCLP studies, in tissue cross reactivity studies of biologics and other specialty/ discovery studies. 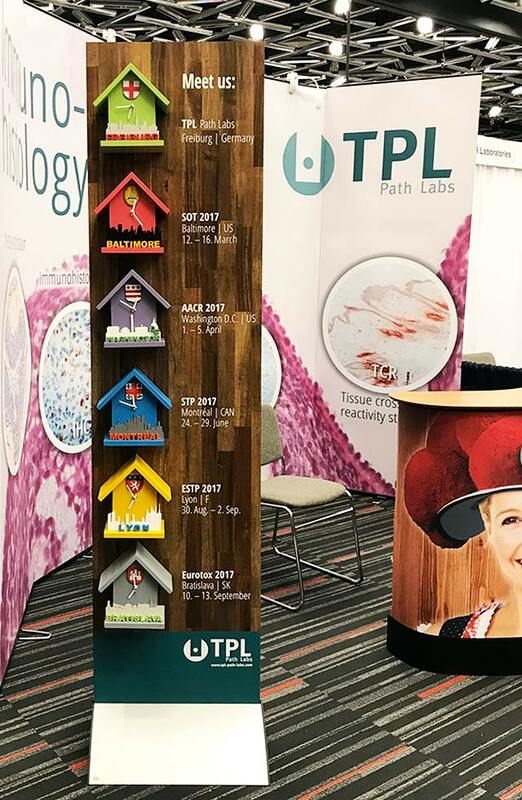 “After having worked with several leading companies in the pharmaceutical industry, I am thrilled to continue my scientific career with the very dynamic TPL Path Labs, as they offer the widest opportunities of development for me!” stated Dr. Lemarchand. We are happy to have him on board and we look forward to our future cooperation with Dr. Lemarchand!